Giving Pound Dogs the Chance they Deserve! Pound Paws Rescue is a volunteer, non-profit, dog rescue based in Oamaru. We are completely funded through fundraising efforts and public donations. We work closely with our local council, but are not employed by them, we are completely separate. Dogs usually end up in the pound through no fault of their own. They get 7 days for their owner to claim them. Many are unclaimed and by law are able to be destroyed. Dogs that arrive at the pound can be very stressed, bored and lonely. Some arrive skinny and afraid. Others are full of bouncy, enthusiastic energy and just need mental and physical stimulation, time and training, and dedicated owners! Pound dogs are not bad dogs, they have usually been failed by their owners by not having the basics provided for them. Many were pampered as puppies, but when they get older and bigger, the novelity wears off, and it’s the dogs that pay the price. 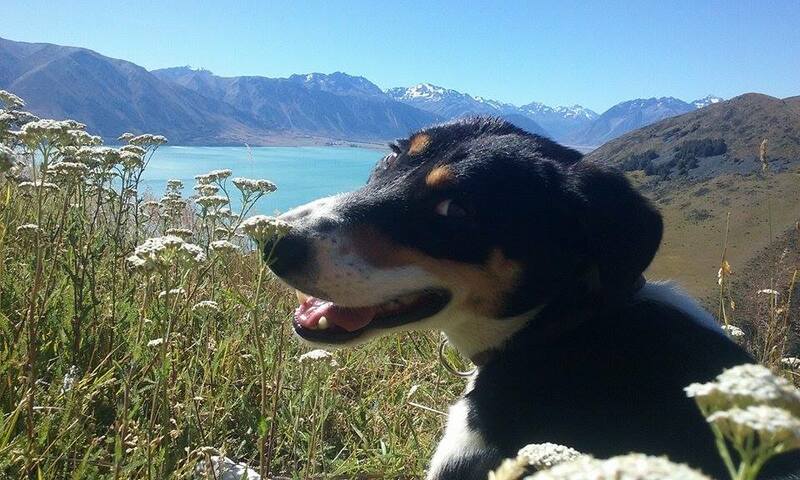 A Pound Paws Rescue volunteer provides 2-3 daily visits to the Waitaki Pound. This includes cleaning of the kennels, poo patrol, washing, feeding and toileting of the dogs. Providing mental and physical stimulation for the dogs, basic calm handling, treats, special care, jackets and warm blankets. We work with those that need extra TLC and socialising. Provide medical treatment if required. Anything to help make the dogs much more comfortable and happy as possible and to increase their chance of adoption! We rescue the dogs that are able to be released into our care and take over legal ownership. All of our dogs are de-sexed, vaccinated, wormed, flea treated, micro-chipped and registered. There is an adoption fee/donation for each dog to help us with these costs. We temperament test our dogs and have an adoption process to help us match them up to the home that best suits their needs - it's never first in first served. The adoption process includes an application form, a property visit to ensure safe containment, meetings with the dog and their foster home carers. A two week trial period is given. We want our dogs and their new families to be completely happy  Some dogs have special medical requirements that we have fixed before adoption. For example entropian eyelids, lameness requiring x-rays, skin conditions, ear/eye infections. If a dog has a good nature, we want to do our best ensure they get the chance they deserve and we will do whatever is possible to help them. Foster homes are crucial to our rescue. We have a team of experienced foster homes - most of which are out of town. We are always looking for more foster homes with good dog experience, safe, secure fencing and someone home during parts of the day. All food and vet care is provided. We also help dogs in the community. All to often young puppies and dogs of all ages are posted on the facebook pet pages with not much thought put into where they will end up. We want to encourage the de-sexing message where-ever we can! Due to back-yard breeding and overpopulation, there are thousands of puppies and dogs all over NZ that will not get a chance for life because there are not enough good, lifelong, responsible homes available.....yet the breeding continues at a massive rate. We’ve also helped a few pigs, sheep, goats and chickens find loving, save, forever homes that are able to provide them all the quality care they deserve for their natural lifespan. Items we need..... Clean blankets are great (we don’t use pillows, sheets or duvets) Treats, toys, harnesses, collars, leads, flea and worm treatments, good quality dry food are always appreciated! Dream Wish - our own land with kennels! Aim high!